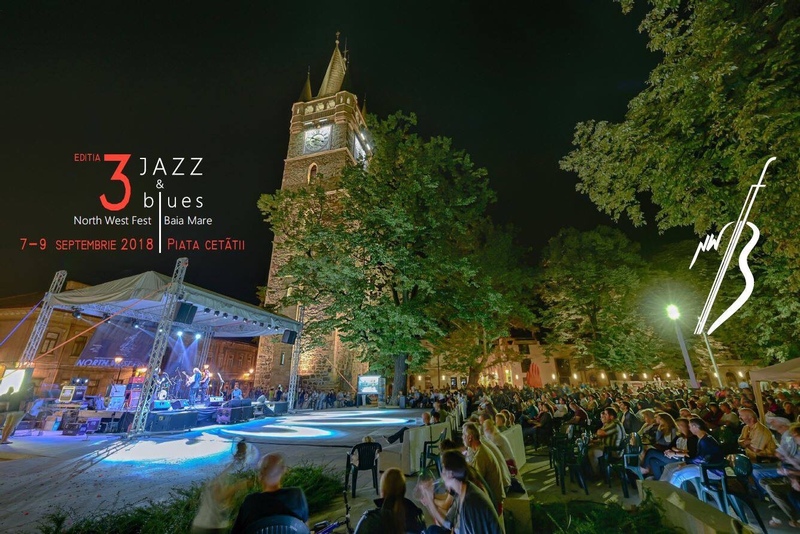 The legendary and ever surprising Csaba Cserey & Harry Tavitian duo headline this free-access, open air jazz festival in my beautiful hometown of Baia Mare this coming Saturday. Friday night is equally exciting, bringing regional talent from Poland (a feature that NW Fest does well, while other jazz gatherings overlook the fantastic talent pool in our close neighbour countries and go for “west is the best” – it is not). Beata’s 2017 release, Today Girls Don’t Cry is an exquisitely produced, instant-impact catalog of enjoyable modern vocal jazz and beyond. Delicate Flower is my highlight of the album, while Out Of Control reveals a formidable band. Bring your dance shoes and be ready to stargaze while being mesmerized by a beautiful voice. Opening Friday is Timișoara’s brand of B3 groove trio, the well traveled Jazzybit. Two of their albums are available on Apple Music. Sunday night is all about the blues, with the one and only A.G. Weinberger headlining. At the end of the first two nights, jam sessions will be hosted at the underground club Podul Viilor 9 , a 2-minute walk from the festival site in the heart of Baia Mare’s historical district. You can reach the festival on their Facebook page; it’s a great reason to travel to that part of the world while summertime is still in the air; and if you do, be sure to contact me for unique travel tips. Posted in English blog and tagged as AG Weinberger, Baia Mare, Beata Przybytek, Csaba Cserey, featured, festival, Harry Tavitian, jazz, Jazzybit, maramures, Mario Florescu, North West Fest, North West Jazz Fest, Podul Viilor, Romania.